Home Categories Conference Folders & Document Bags A4 Zip round Conference Folder - BEST SELLER! 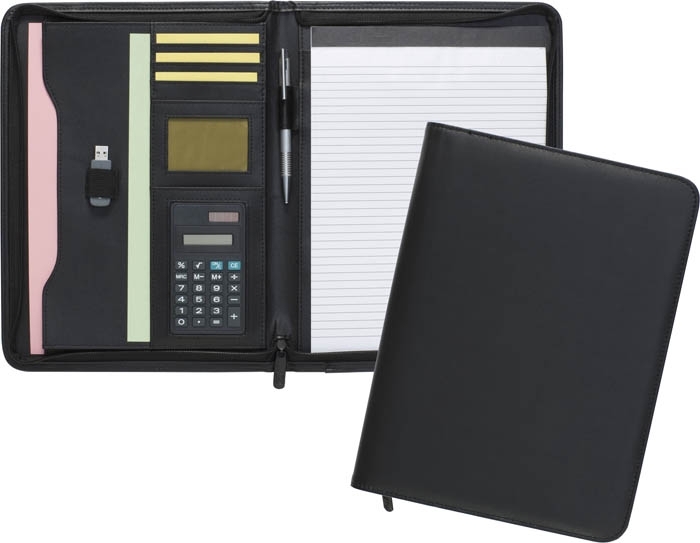 One of our most popular folders - A4 PU zip around conference folder - supplied with a 20 page pad, 8 digit calculator - it can accommodate insets along with a pen & USB which are shown for illustrative purposes. Please deduct € 2.75 per unit if the calculator is NOT required . Printed one colour to your artwork. Unit price for 100 € 11.75 Unit price for 250 € 10.80 Prices exc. print set-up charges & vat.